I have been leading key international academic conferences in my field of expertise. In addition to presentations, conferences also feature panel discussions, round tables on various issues and workshops. The Chair oversees the smooth running of the full planning process for the conference, ensures good collaboration and communication within the organising committee and reports to the Steering Committee on the progress of the event and as well as defining the technical scope and technological areas covered by the conference programme. The Chair is also having to ensure that all conference committee members are aware of their specific roles and responsibilities: Technical Programme; marketing and publicity; Publications; Workshops; finances and sponsorship; Web development; conference peer review; Special Sessions; and Industry track / industry relations. As a conference chair, I always work closely with the Technical Program Committee Chair on strategic issues for the design of the technical program including amending scope and setting research topics, soliciting special sessions, identifying keynote speakers, deciding on workshops, tutorials, panels, demos, posters, industry track and exhibits, ensuring a rich overall conference program and well-attended event. In addition, I have been involved in: inviting selected Keynote Speaker(s) for the conference; delivering the Official Conference Opening Speech that includes acknowledging committee members, authors, sponsors, event partners, etc. and outlining the conference agenda; delivering the official conference closing speech that includes announcing the technical and logistical details of the conference’s next edition; and preparing a post-conference report including a summary of the highlights of the conference (both scientific and social aspects), and policy impact. It is my belief that a conference chair makes a big difference on each delegates’ experience. To me, well-run conferences are fun, memorable, streamlined, and purposeful. Appointed by Royal Academy of Engineering as the Chair of RCUK GCRF funded Inclusive Prosperity and Wellbeing in the Context of Mass Displacement International Frontiers of Development Symposium held in Kigali, Rwanda. 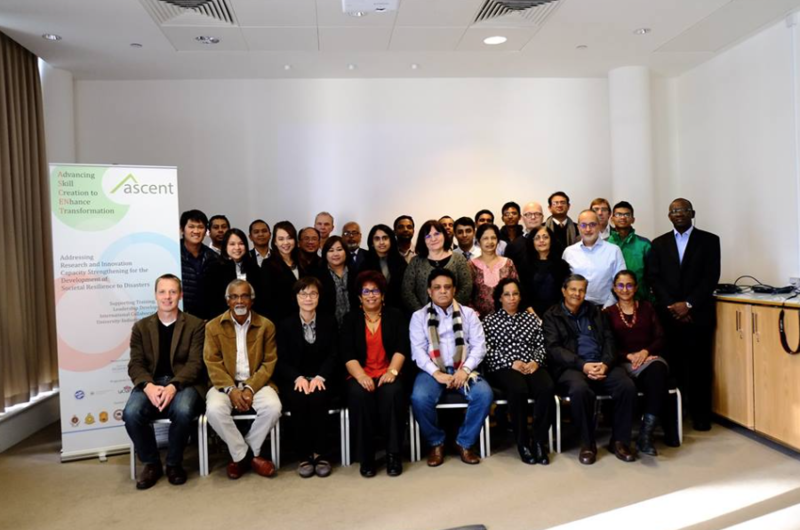 February 2018.
International Coordinator, Localising Strategies for Making Cities Resilient to Disasters, De La Salle University, Manila, Philippines & University of Huddersfield, United Kingdom, January 2018. Co-organiser, Global platform for Disaster Risk Reduction, 22 – 26 May 2017, Cancun, Mexico. The Global Platform for Disaster Risk Reduction (Global Platform), as recognized by the UN General Assembly, is the main forum at the global level for strategic advice, coordination, partnership development and the review of progress in the implementation of international instruments on disaster risk reduction. 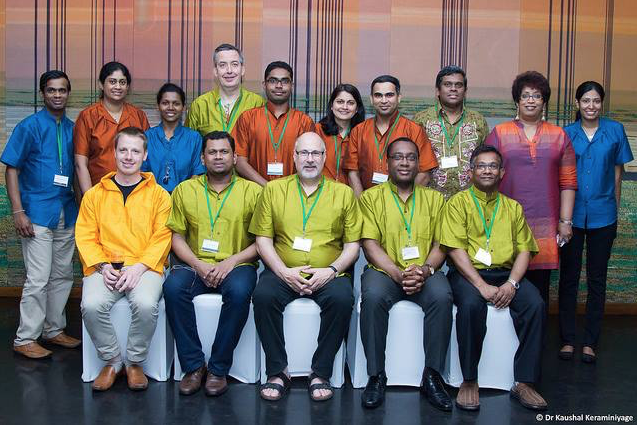 Member of the organising committee, Global platform for Disaster Risk Reduction, 22 – 26 May 2017, Cancun, Mexico. The Global Platform for Disaster Risk Reduction (Global Platform), as recognized by the UN General Assembly, is the main forum at the global level for strategic advice, coordination, partnership development and the review of progress in the implementation of international instruments on disaster risk reduction. 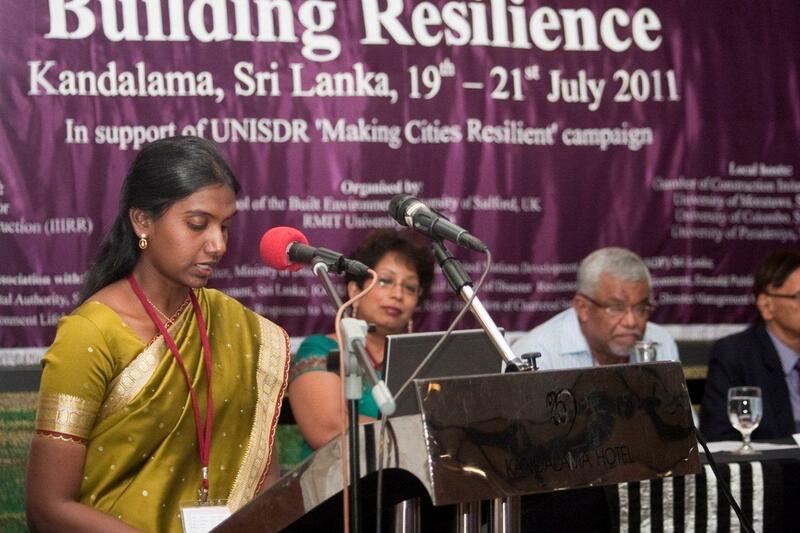 Conference Co-chair, ASCENT international conference on Capacity for the development of societal resilience to disasters, University of Ruhuna, Sri Lanka, February 2017. Conference Co-Chair, CADRE International Workshop Mainstreaming disaster resilience within the construction process: Local Government Perspectives, University of Huddersfield, UK, January 2017.
International conference committee, 12th International Conference of the International Institute for Infrastructure Resilience and Reconstruction (IIIRR) with the theme: “Disaster mitigation and resilience enhancement", 5th – 7th August 2016, University of Peradeniya, Sri Lanka. The International Institute for Infrastructure Resilience and Reconstruction (IIIRR) is a multi-university international consortium which provides overall leadership in research, education, planning, design and implementation for natural disaster related mitigation, resilience enhancement, and reconstruction projects. Co-organiser, Asian Ministerial Conference on DRR 2016 (AMCDRR), held from 02 – 05 November 2016 at Vigyan Bhawan, New Delhi, India. 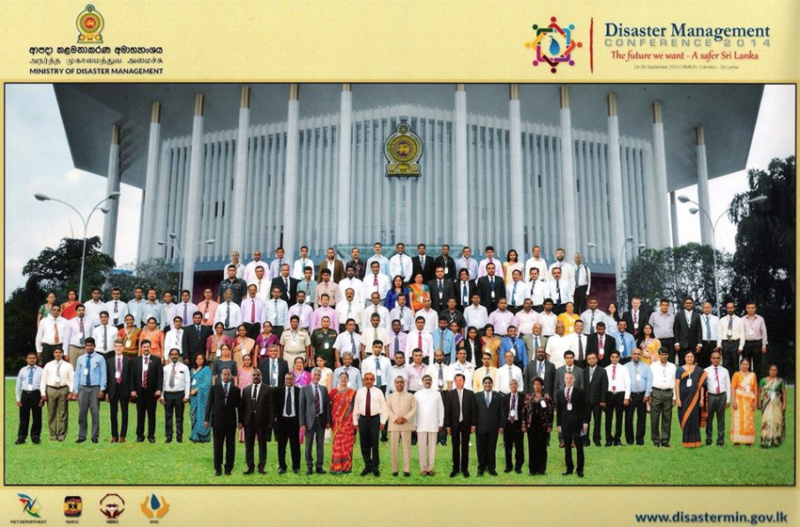 This first Asian Ministerial Conference for Disaster Risk Reduction after the advent of the Sendai Framework was hosted by the Government of India in November 2016 under the theme “Risk Sensitive Development for Community Resilience” and was organised by the Ministry of Home Affairs, in collaboration with UNISDR and with the support from International and National Development Partners. Partner, UNISDR Science and Technology Conference. An organising partner of the UNISDR Science and Technology Conference on the implementation of the Sendai Framework for Disaster Risk Reduction 2015-2030 to be held from 27-29 January 2016, Geneva, Switzerland. The conference aims to bring together the full diversity of the science and technology community, policy makers, practitioners and researchers from all geographical regions, at local, national, regional and international levels to discuss how the science and technology community will best support the implementation of the Sendai Framework for Disaster Risk Reduction 2015-2030. 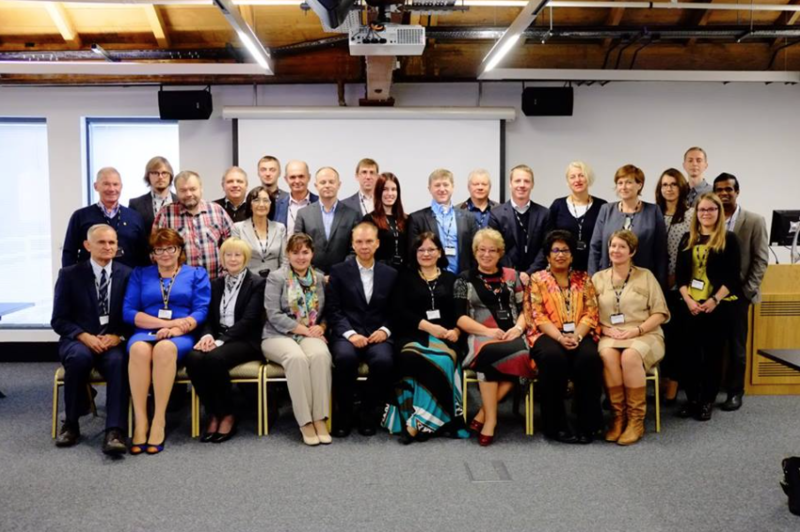 Conference c-chair, Symposium on Disaster Resilience and Built Environment Education: Celebrating Project Successes University of Huddersfield, September 2015. Conference Co-organsier, Symposium on Enhancing Resilience of Critical Road Structures: Bridges, Culverts and Flood Ways, July 2015, RMIT, Australia. This symposium was held in association with “Enhancing resilience of critical road infrastructure: bridges, culverts and flood ways” project, led by RMIT, Australia, which is funded by Bush fire and Natural Hazards Cooperative Research Centre (BNHCRC), Disaster Resilience Australia. • A key partner of the E Conference on Landside risk reduction - Model Policy frameworks, Standards and Guidelines on Landslide Disaster Reduction. The event is being organized by the World Centre of Excellence on Landslide Disaster Reduction, Central Engineering Consultancy Bureau and the Ministry of Mahaweli Development and Environment in Sri Lanka. Partner, Special disaster management session at the 6th International Conference and Workshop on the Built Environment in Developing Countries, 6th International Conference and Workshop on the Built Environment in Developing Countries (ICBEDC-2012) Fragmented Futures: the built environment in a volatile world. The University of South Australia, Adelaide, Australia, December 2012. Leader, Disaster Management theme, RICS Construction, Building and Real Estate International Research conference (COBRA 2010), September 2010, Paris, France. 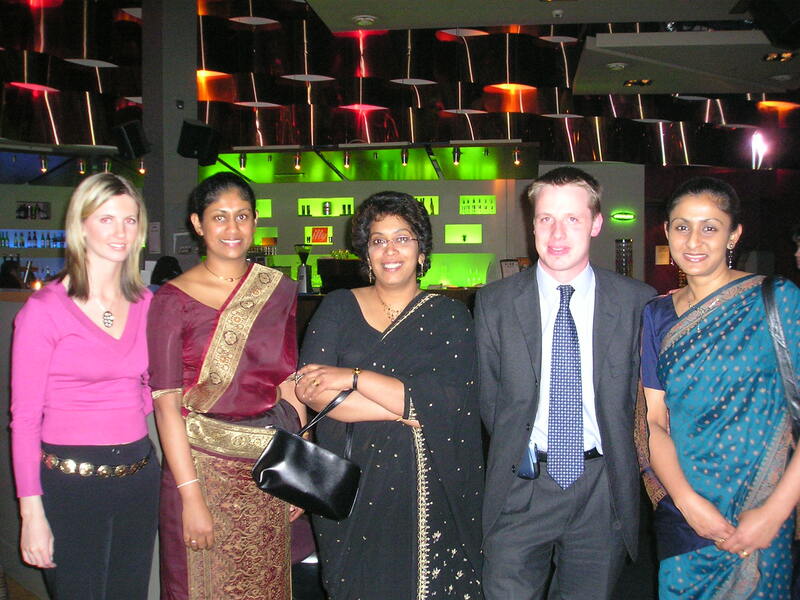 Member of the conference organising committee. Construction Research Congress 2010. Innovation for reshaping construction practice, May 2010, University of Alberta, Canada. Member of the international organising committee, International conference on social development and transition: Paths for global local partnerships, International consortium for social development: The Asia-Pacific branch, Kathmandu, Nepal, 2008. Conference chair, BUILDING RESILIENCE, CIB W89 International Conference on Building Education and Research, in conjunction with CIB, W113, CIB TG53, CIB TG63, CIB TG67, CIB TG68, and CIB TG69, Heritance Kandalama, Sri Lanka, February 2008. Co-chairman of the 7th International Postgraduate Research Conference in the Built and Human Environment conferences, Salford Quays, Salford: UK. 2007. 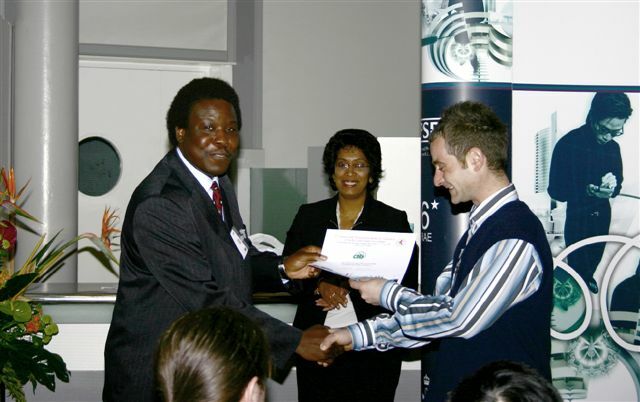 Member of the organising committee, The Royal Institution of Chartered Surveyors (RICS) annual international building and construction research conference (COBRA), University of Salford, 1999. Deputy Chairman. Forum on “Creating an Awareness in the Construction Industry of the Quantity Surveying Profession in Sri Lanka”. 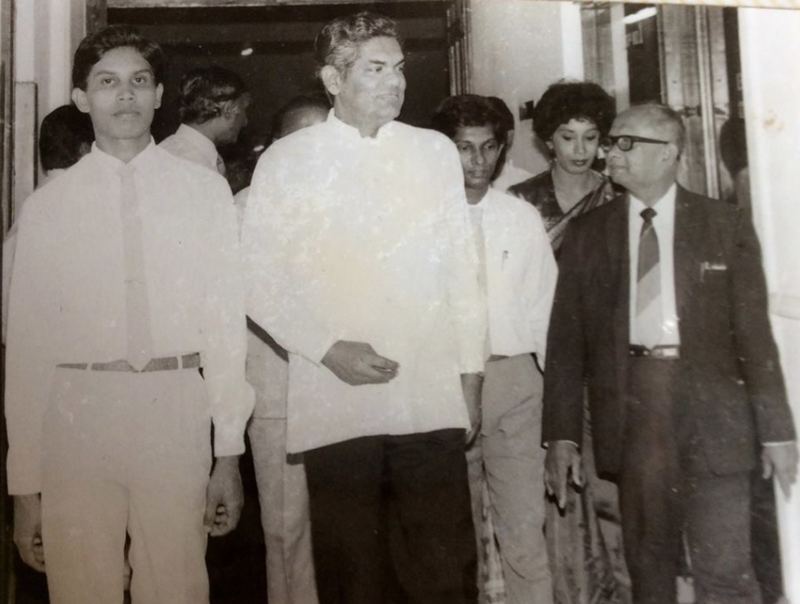 Department of Building Economics, University of Moratuwa, Sri Lanka. 1990.